My wife has had a problem for a long time now. When she eats a cooked meal within just a few minutes she runs to the toilet to empty herself. Her food goes right through her. Oddly enough, I have also been experiencing problems with acidic or maybe even alkaline burning and soreness around my backside, using nappy cream to help ease the problem. But not all the time which is very odd. It appears that something is irritating our bowels. We went on holiday with a friend who has irritable bowel Syndrome (IBS) and My wife shared her own experience with hot food with her to see if the symptoms were the same as hers. Indeed there was a correlation. After a long chat they got talking about trigger foods to determine what the problem was. Bisto Gravy Granules soon surfaced as being a major contributor to our friends IBS. She added under no circumstances can she have this on her meals as it causes a major flare up. We also use this product and have done for many years on roast dinner. Things began to make sense. Anyway, my son has been home from Thailand for over a year now and has learned us all about Thai foods, so the usual roast dinners were becoming far fewer and so were the episodes of diarrhoea and burning ring of fire so to speak. In addition we have been eating quite a number of meals that did not require a drenching with E numbers / Bisto Gravy Granules and all was becoming more and more stable with regards to toilet visits. Yesterday, my wife just about made it in to the toilet and this morning my stools were very loose also for the first time in ages. Yesterday we had a Lamb chop dinner and Bisto Gravy Granules. We will not be using this product any more! Ingredients: Potato Starch, Maltodextrin, Salt, Falvourings (contain milk, soya) vegetable oil, Colour (E150c or Ammonia caramel) Flavour Enhancers (E621 or Monosodiumglutamate, E635 Sodium ribonucleotides) Beef Extract, Emulsifier (E322 Lecithin) (Soya), Spice & herb Extracts, Onion Extract. Why on earth can't they leave our food alone? Why do they have to take a trusted product like Bisto Gravy Powder which contains 1 E number, again unnecesary and then add a load more E numbers hoping that people won't bother to check the contents because they trust the company that makes the stuff to do the right thing and keep our food out of harm's way. In the old days a butcher who sold rotton meat would have his hand chopped off. Maybe we could adopt this age old principle when dealing with those that cause us harm, particularly when it is disguised in the gravy we pour on our food. Mixture of sodium salts of guanylic (E626) and inosinic acid (E630). Flavour enhancer. Guanylates and inosinates do not have the specific umami taste but strongly enhance many other flavours, thereby reducing the amounts of salt or other flavour enhancers needed in a product. None determined. Guanylates and inosinates may not be used in products intended for children under 12 weeks. Guanylates and inosinates are generally produced from meat, but partly also from fish. They are thus not suitable for vegans and vegetarians, and in most cases not suitable for Jews, Muslims and Hindus, depending on the origin of the product. Only the producer can provide information on the origin. This is fascinating Andrew .......and I am sorry for your " downstairs issues" which I am happy to hear are a lot better for you and the Mrs.
A good way to make a thick gravy is to get the juices from what ever you are cooking (plus deglazing the pan/tray is a fantastic way).....then just add some cornflour mixed with a little water to thicken it. If you can handle a stock cube (organic) then chuck that in too.....a teensy bit of sugar really helps also !! THANK YOU for this valuable information...though it is worth mentioning I suppose that using Bisto (and other types of instant gravy mix) does not automatically mean that people will suffer the same consequences........though the information is welcomed. Glad you found it interesting Neil. We used to make real gravy but then somehow got hoodwinked into gravy granules and didn't realise the connection until a few months ago, and even then remained sceptical until the last episode completely confirmed that Bisto was the culpret. It may not be just the Bisto, although any food additive can irritate the bowl. I too have IBS and can have problems after a roast dinner. I don't use gravy, just meat juices so it is not that for me. I find it is the combination of different types of food that causes the problem. I believe we have already eliminated all other possibilities. Wife does not have problems unless we have Bisto GG, so presumably she does not have IBS but does have an allergy to Bisto Gravy Granules, which I hope might help others to investigate what might be causing their problems. Elimination provides us with a path to find the culprits and then once the problem has been resolved all one has to do is go back and do a double cross over by eating the suspect product again and see if the symptoms come back, which is exactly what my wife and I have done. I have had a similar problem and this occurred a lot with instant coffee. Some of these granulated products contain emulsifiers to make them dissolve quicker and I notice that any product with emulsifiers in seems to gives me stomach cramps and bowl problems. Needless to say I rarely drink instant coffee. Just re-read my IBS leaflet and potato is listed as the top baddy to eat if you have IBS along with onion. People with IBS should not drink with their meal but should drink lots inbetween meals. Orange juice with a big meal is a big no-no. You may as well eat bad eggs and sprouts washed down with beans!!!! You're right of course ..E numbers are horrible. Though I think some indeed are in fact natural ingredients. Perhaps there's an organic instant gravy alternative. I am very interested in your situation as tummy issues are rife in my family...my mother and nephew have Chron's disease, my sister Colitis, my sis-in-law also has IBS. Fortunately I'm Ok.
Just get back on that real gravy train eh ? The food additives on the ingredients list given "Potato Starch, Maltodextrin, Salt, Falvourings (contain milk, soya) vegetable oil, Colour (E150c or Ammonia caramel) Flavour Enhancers (E621 or Monosodiumglutamate, E635 Sodium ribonucleotides) Beef Extract, Emulsifier (E322 Lecithin) (Soya), Spice & herb Extracts, Onion Extract." are, in fact, all natural components of food. I do know someone who suffers from similar symptoms to those mentioned when she eats onions (or garlic, leeks etc). The E number designation means that the product has been tested and is generally safe (there are, of course, some people who are hypersensitive to all sorts of things; at least the e numbers give them a consistent label to watch out for). So my suggestion that it is onion and potato that is causing the problem seems to be confirmed by this, Bored Chem. Great point. I was looking at the other additives not the emulsifiers, thanks for this. Good Point BC regarding E numbers. However I do know that MSG is causing a considerable amount of problems and Emulsifiers are another culprit. These chemicals may begin life as being natural but when they are modified the body reacts quite differently to them. Take organic natural progesterone for example compared to synthetic progesterone. It’s like comparing a cotton shirt to a nylon shirt. Both are shirts but you can’t keep a nylon shirt against your skin without it causing problems. Wife loves Jacket potato, I mean absolutely loves them and we often eat them with faggots and mushy peas (Blackcountry dish) Faggots often come with their own gravy / sauce and we do not appear to have a digestive problem with this meal. "These chemicals may begin life as being natural but when they are modified the body reacts quite differently to them. " What's the difference between a glutamate ion produced by the natural digestion of protein and one included in the recipe? How about the glutamate present in parmesan cheese or soy sauce? (they are both loaded with the stuff)? Does it somehow get modified when the label on the bottle says E621 rather than soy sauce? Even potatoes have more of the stuff than most meat. "It’s like comparing a cotton shirt to a nylon shirt. " No, it's not, one is made of cotton and the other of nylon. They are entirely different chemicals and they have different physical properties too. On the other hand, the glutamate from parmesan is exactly the same as the glutamate from the chemical supplier. There is no "magic" way to tell "natural" from "artificial" chemicals so there's no way the body can react differently to them. Gravy = stock, flour, meat juices, salt pepper, red wine (if you want), water from the spuds or the veg. Cook it in the meat pan whilst the meat is 'resting' and don't add anything else. It tastes great and looks as dark brown as you want to caramelise the meat. Faggotts are really easy to make from scratch. There is an E number for virtually every chemical so they're not all bad! Cooking your own food from scratch avoids the additives; you may need to be a bit more clever if you want to avoid lumps and curdling but it is just a matter of stirring and choosing your cooking temperature. Deliah's latest offering is just dollop! BC take a look at the difference between natural progesterone and synthetic progesterone to see how the body reacts to both. "Its like comparing a cotton shirt to a nylon shirt. " Many thanks for the recipe will ask wifey to test drive it. They are identical and there's no way the body can act differently towards them. 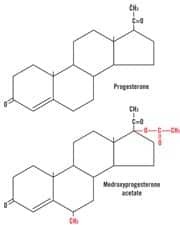 Now, there are artificial analogues of progesterone, which are not the same stuff and which may well cause different reactions but that's not because they are artificial, it's because they are not the same stuf. BC My wife and I have first hand experience using natural progesterone and have used it because of predictions made regarding its use based on sound observations by a well respected doctor. We followed his advice and have observed the same results. I am also familiar with the fact that synthetic progesterone has been linked to cancer and have been advised by the medical profession that certain types of synthetic progesterone have been banned in the UK because of this.